A No-Nonsense Site Where You'll Find The Truth About Issues Confronting Buyers. Click here for 20 reasons why you should use me as your agent. Or check out this page that answers frequently asked questions about Buyers Agency. 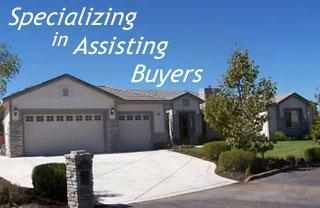 I have specialized in helping Buyers in the East Bay since I started Buyers Brokers Realty in 1989. The goal of this site is to provide you with relevant, up-to-date information about buying in the East Bay and to explain the reasons favoring the use of an Buyers Broker when you are buying. If I have done my job well in preparing this site, you will learn why you should consider using a competent Buyers Broker to be your personal agent when making a purchase. Though I am a Top Producer, I only work with a handful of Buyers at any given time, in order to provide clients with the very highest level of service. If you are a buyer who is looking for a highly competent broker who will personally provide you with full time service, please consider using me. "Let me be YOUR advocate"